Rap Genius's growing online collection of black writers ranging from Langston Hughes to Nikki Giovanni assists in sparking conversations concerning black literature and serves as a valuable digital resource. In some respects, the site could be considered Cliffsnotes of the 21st Century by providing an interactive platform for engaging, summarizing, reading texts. 1. RapGenius demonstrates how scholars of African American and American literature can engage in digital humanities through collaborative web-based projects. 2. RapGenius’s multimedia annotation system encourages the use of text, images, videos, and sound bites in the explication of texts and lyrics. 3. RapGenius, through its social media platform and easily accessible crowd-sourced annotation system, encourages its users to be active in the production of knowledge on African American literary texts. 4. RapGenius’s digital glossary of poetic terms provides immediate access to definitions that aid in analyzing literary features in a given text. 5. RapGenius’s explanations addresses barriers between readers and texts by assisting users in decoding language use, thematic content, and historical details. 6. RapGenius’s growing body of African American literary texts fills a void in terms of digital accessibility to essays, poetry, and select novels by black people. 7. 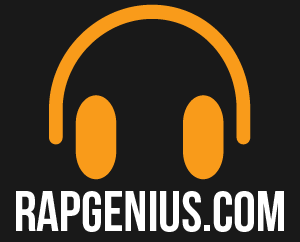 RapGenius, through its use of hyperlinks, creates a field for cross-fertilization that offers a variety of interlinked online sources, videos, or interviews for further reading on particular subjects in the explanations.